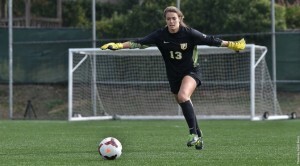 Madalyn Schiffel, Placer alumna and University of San Francisco goalkeeper, was just selected as the 4th pick in the 4th round of the National Women’s Soccer League College Draft held in Baltimore, by the Washington Spirit. Only 40 players were selected, 10 in each round. We are so proud of you Madalyn!